Mother Gomi and the six puppies are said to be doing well. As a symbol of peace and friendship, an adorable litter of puppies might be hard to top. 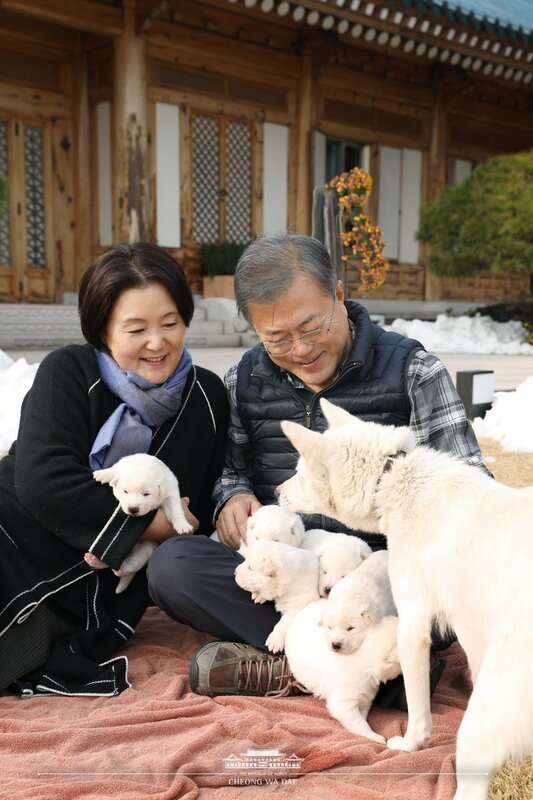 South Korean President Moon Jae-in has shown off the pups born to one of two dogs given as a present by his North Korean counterpart, Kim Jong-un. Kim gave the two pungsan dogs, named Songgang and Gomi, to Moon to mark September’s inter-Korean summit. 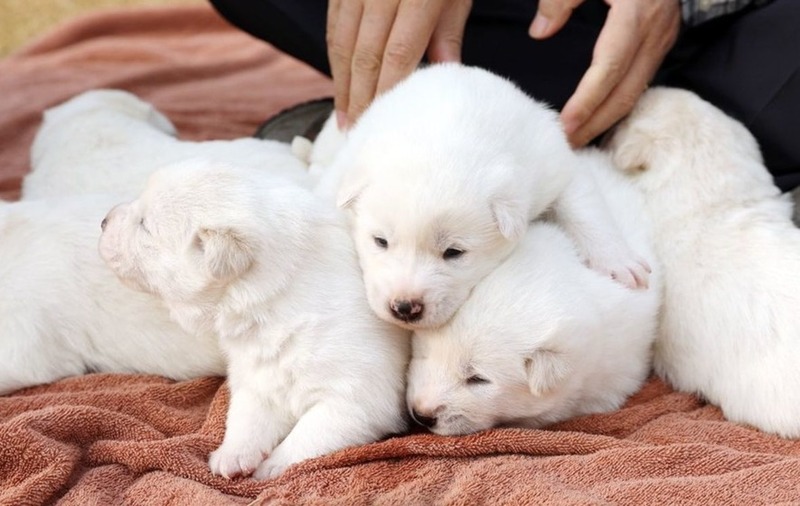 And Gomi gave birth to a litter of six puppies – three male and three female – earlier this month. Pungsan dogs were originally bred in North Korea and are seen as something of a symbol of the country. Back in 2000, then North Korean leader Kim Jong-il gave two pungsan puppies to his South Korean counterpart, Kim Dae-jung, to mark another inter-Korean summit. They were given “state guest” status and moved to Seoul Zoo, where they were treated like royalty and became one of the most popular exhibits with the public. The move comes amid a thawing in tensions between both sides, which saw the South Korean leader play a key role in the meeting of Kim and Donald Trump in Singapore this summer.